Update: you can buy it online now. Anyone know where I can buy this? 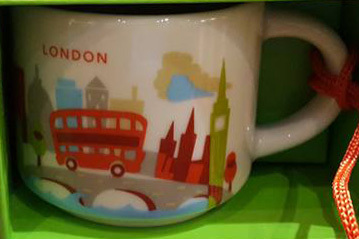 All Starbucks stores I visited say they only have the mug version.. Is it already sold out? Hello Franky. These were Christmas items (unlike US and Asia). So yes, sold out. FK I didn’t see any of these on sale during the 2017 Christmas period. After the end if the 2016 Christmas period a lot were being sold off for half price so all the stocks may have been sold off and not replenished for this 2017 Christmas.